Many issues arise during a divorce. The most important issues involve your child or children. Some of the most common issues include custody of the child, financial arrangements such as child support and alimony, and dividing property. One important decision that is often forgotten until the last minute involves your child’s education. 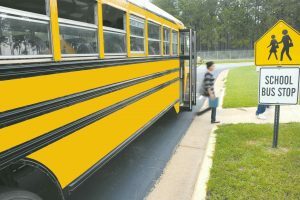 Decisions on the school your child will attend, how bus routes will be handled, and before and after-school care, are all issues that need to be addressed. If you are preparing to enter divorce proceedings or are already in the process, here are some important education issues pertaining to your child that should be included in your discussions. What Role Does Legal Custody Play in Schooling? Legal custody refers to a parent’s authority to make decisions regarding the child’s education, religious upbringing, and healthcare. Clearly legal custody decisions play a vital role in shaping your child’s life. Absent extraordinary circumstances and or the parents inability to communicate effectively, a court will generally award both parents legal custody, referred to as joint legal custody. As a result, both parents will have input into the child’s legal custody issues, including but not limited to your child’s education decisions. How are School Selections and Bus Route Issues Handled? When it comes to school selection, the school district of the parent who has or is awarded “primary” physical custody will most likely determine where the child will attend school. Most school districts have residency requirements that will determine where a child is eligible to attend their school. As for bus routes, there are several possibilities. You will need to work with the school district, the bus company and the other parent to determine what is in your child’s best interest. The goal is to avoid confusion for the child, i.e. maintain the same bus and bus schedule for the child each school day. The parent with whom the child is with has the responsibility to make sure the child is ready for and gets to school. Likewise, it is the parent who has parenting time who is responsible to make sure the child is cared for after school. As with all of these decisions, there is room for discussion. For example, if one parent needs to leave for work early, the other parent may arrange to drive the child to school, or come to the residence to help prepare the child for school. After-school care often works the same way, since there will need to be coordination of work schedules, extracurricular activities, and other matters. Again, if parents have joint custody, arrangements can be made to accommodate their schedules but more importantly, their child’s best interest. While it may require plenty of discussion and planning, your child’s best interests are paramount. If you have questions regarding how to handle your child’s educational issues while you are going through a divorce, it is vital that you have the assistance of an experienced Divorce Attorney. For exceptional assistance, contact the knowledgeable and experienced attorneys at Karpenski & Schmelkin, Divorce and Family Law Attorneysfor more information.